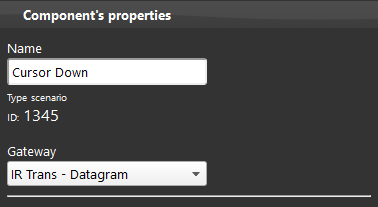 Using the Datagram gateway it’s possible to communicate with IRTrans devices, these can be controlled via the Scenario components or through the Remote Control where the commands configured inside the device can be inserted. 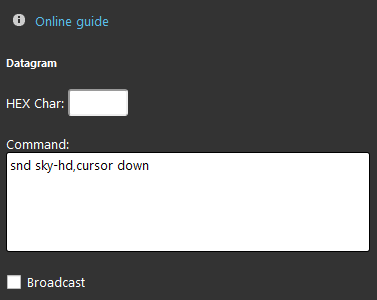 In this example, we will see how to quickly configure four buttons of a remote control for SKY-HD within the Eve Manager Pro. 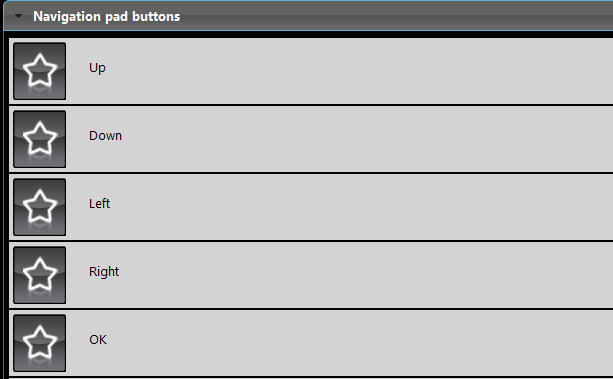 Now let’s move on to the “Command” window. The first thing to remember is the accuracy of the data that we write, as what we write after the keyword snd (which means “send”), is taken directly from the database of IRTrans that in this guide we will not cover as it owns already its rich specific documentation. These are the Buttons automatically created by dragging the Remote Control component inside the My Components view inside EVE Manager Pro. This is the final result interface inside the App EVE Remote Plus of our Remote Control. This is an example of how easy it is to consult the IRTrans keywords, if your device is not present in the list it will be possible to create a custom one. Please refer to this documentation on how to do that. You can view an example of the Remote Control component configuration with the IRTrans downloading the example from this link. After uploading the project to EVE Manager, following the link instructions, go to the Components section and in the My components area open the LIVE group, then TV Controller or Remote control. You can try the functioning by opening the Live Room section in the EVE Remote Plus app. Subscribe to our Learning Centre newsletter. Get all the latest updates about technical guides, user manuals, videos, sample configurations and much more.